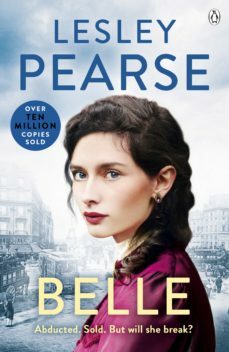 The international number one bestselling author tells the story of a strong woman trying to be good in a world gone bad, taking us from London to New Orleans and beyond in this powerful, moving historical novel.She witnessed a murder - and now her life is in danger . . .Fifteen year-old Belle, though raised in a London brothel, is an innocent. But when she witnesses one of the girls brutally strangled by a client, she is cast into a cruel, heartless world. Snatched from the streets and sold into prostitution, she is made a courtesan in New Orleans. At the mercy of desperate men who crave her beauty and will do anything to keep her, Belles dreams of home, family and freedom appear futile. Are Belles courage and spirit strong enough to help her escape? And what will await her at the end of the long, dangerous journey home? Praise for Lesley PearseWith characters it is impossible not to care about . . . this is storytelling at its very best Daily MailLose yourself in this epic saga BellaGlorious, heartwarming Woman & HomeAn emotional and moving epic you wont forget in a hurry Womans WeeklyFind Lesley on Twitter @LesleyPearse or find out more on her website, www.lesleypearse.co.uk.